C. Sade Turnipseed presents a record of successes as professor /executive producer of: educational and literary concept developments for film, television, radio, live stage events and festivals. The Best of the Best, the documentary; and, Saving Our Babies Anthology: By Writers of the 21st Century. As an educator, Ms. Turnipseed serves as interim Project Developer for KHAFRE a non-profit business & writers institute, in Mississippi; and as adjunct professor at California State University at Northridge (CSUN) in the Pan African Studies. She held an adjunct professorship, at the University, District of Columbia, Washington, DC, in Mass Media; West Coast University in Los Angeles, CA; where she also worked within the Los Angeles Unified School District, with high school children developing their abilities to write their life's stories, in the forms of scripts and video production concepts. Her most celebrated productions were: Dr. Maya Angelou and Sweet Honey in the Rock together for a "Sweet Sunday at the Zellerbach" performance in Berkeley, California, in 1990; Babatunde Olatunji, "Master Drummer of All Times," Wose Community Center, Oakland, CA, in 1992; Dr. John Henrik Clarke, "The Master Teacher of All Times," (a five part series) "The Legacy of Malcolm X & Martin Luther King, Jr.," held in KHAFRE Community Center in Oakland, CA, in 1994; Sharrone Mitchell's, "Fashion in the Symbols of the Adinkra," held in the Ghanaian Embassy in Washington, DC, in 1998 "Forty Years of Community Service Tribute to Mayor, Marion Barry" held in the MCI Center, Washington, DC, hosted by Maya Angelou and Louis Gossett, Jr., in 1999; and, The "Best of the Best" Films from the African Diaspora, held in the IMAGINE Center, Ouagadougou, Burkina Faso, in March 2005. 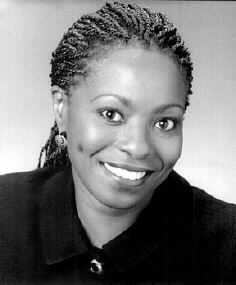 Ms. Turnipseed has received notable acclaim as Programming Director for PCTV Network television in Oakland, CA, where she delivered thousands of hours of award-winning original programming, by independent producers from around the world; and, as producer for their affiliate stations. Subsequently, she worked with the San Francisco-based Public Broadcast Services (PBS) affiliate KQED-TV, where she contributed to a wide variety of original programming concepts as a production assistant. Ms. Turnipseed was born and raised in San Francisco, California and travels frequently to Africa, the Caribbean, Mexico, South America and Europe. She holds a BS in Radio & Television from S.F. State University; a MS in Telecommunications Management and a MBA in International Management and Marketing from Golden Gate University, in San Francisco, California; and a Certificate of Completion in Web-Based Instructional Designs, from George Washington University in Washington, DC.